There is an art to performing cosmetic and reconstructive surgery, and since 1995 Dr. David F. Pratt has been practicing his artistic surgical skills. Certified by the American Board of Plastic Surgery, Dr. Pratt is also a member of the American Society of Plastic Surgeons, Washington Society of Plastic Surgeons, Northwest Society of Plastic Surgeons, as well as a Fellow of the American College of Surgeons. Dr. Pratt has had extensive experience in a wide range of plastic surgical procedures, and performs aesthetic and reconstructive surgery of the face, breast, and body on a daily basis. 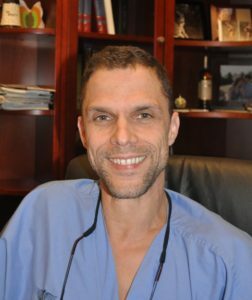 As a tribute to his hard work and successes in the field of Plastic Surgery, Dr. Pratt was recently selected as one of America’s Top Physicians by the Consumers’ Research Council of America, an independent research organization that provides unbiased consumer guides for professional healthcare services throughout the United States. Recognized as a top Seattle / Bellevue cosmetic surgeon, Dr. Pratt’s world-class surgical results are the product of his thorough knowledge of human anatomy, extensive surgical training, maturity in the operating room, and exceptional artistic abilities in plastic surgery. 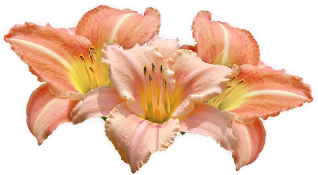 His natural warmth and compassion, as well as his sensitivity to patient needs, have allowed Dr. Pratt to win the highest level of confidence and trust of his patients, including each of his facelift, mommy makeover, rhinoplasty, liposuction and breast implants Tacoma patients. Dr. Pratt’s number one priority is the comfort and safety of his patients. Pratt Plastic Surgery is built around this principle. Dr. Pratt is active member of the medical staff at Overlake Hospital Medical Center, and Evergreen Hospital Medical Center. Learn more on what to look for when Choosing the Right Plastic Surgeon. In June of 2012, Dr. Pratt was involved in a mission in Amman Jordan that was sponsored by Operation Smile UAE, treating primarily cleft lip and palates as well as other facial deformities. During the week, more than 70 patients were treated, mostly from Jordan and Palestine. The procedures were performed at the new public hospital, Prince Hussain Bin Abdullah II Hospital, with Operation Smile importing much of the equipment needed, such as anesthesia machines and other important medical instruments. Doctors and nurses from all around the world participated in the week-long mission. Surgeries were performed from early in the morning until late in the day. On the first day, over 200 patients were screened by the doctors, and, unfortunately, the majority had to be turned away, emphasizing the continued need for such missions. Although the mission was primarily aimed at the treatment of children ranging in age from 6 months to 5 years old, many others were treated as well; some people required the revision of surgery performed in the past, and a few were treated for other problems, such as burns, large growths and hand problems. Dr. Pratt hopes to be involved in more missions like this in the future and has encouraged his children to volunteer their time as well to this wonderful organization. ANNUAL TOP DOCTOR RANKINGS ARE IN! 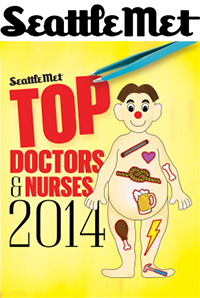 Over 1,400 doctors, nurses, and physician assistants in the Seattle metropolitan area participated in our 2014 survey, for which we asked, “If you or a loved one needed medical care, whom would you choose?” Of the nearly 13,000 nominations we received, the top 15 percent of practitioners were considered as semifinalists for the 2014 Top Doctors and Nurses list. We invited an anonymous advisory panel of administrators, doctors, nurse practitioners, and physician assistants from local hospitals, clinics, private practices, and associations to vet all nominations and further authenticate the results. The panel’s criteria to select the finalists included a provider’s years of experience and competency within his or her specialty, rapport with patients, including patient satisfaction and compliance with care recommendations, and ability to work effectively with colleagues across specialties to deliver the best care for patients. The panel also sought to adequately represent smaller private practices, which tend to encounter fewer colleagues on a day-to-day basis than their peers at large hospital systems.